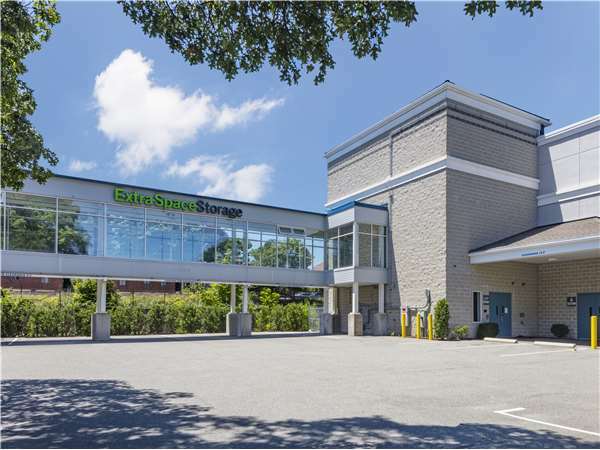 Located on Old Colony Ave just off Hancock St, Extra Space Storage serves Quincy residents near Wollaston, Norfolk Downs, and North Quincy. 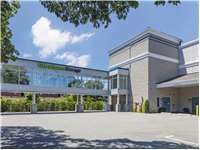 Locals will recognize our facility a few minutes west of Merrymount Park and Veterans Memorial Stadium near Compass Furnished Apartments. We're also accessible for residents of nearby apartments, such as Wollaston Manor, Triple 9 Apartments, and more! To anyone looking for storage.look no more you won't find any place like it in boston.the two people i meet with go above and beyond costumer service.to see my needs were meet.just like too think them BOTH. Drive southeast on Hancock St. Pass McDonald’s and turn right onto W Squantum St. Turn left onto Arlington St. Turn right onto Newport Ave. Turn left onto Beale St. Turn right onto Old Colony Ave. Turn right to stay on Old Colony Ave. Our facility will be on the right. Drive northeast on Thomas E Burgin Pkwy. Pass Adams St and continue onto Newport Ave. Turn right onto Beale St. Turn right onto Old Colony Ave. Continue straight to stay on Old Colony Ave. Our facility will be on the right before Warren Ave.
Drive west on Furnace Brook Pkwy. Turn right onto Merrymount Pkwy. Turn right onto Hancock St. Turn left onto Standish Ave. Turn left onto Warren Ave. Turn right onto Old Colony Ave. Our facility will be immediately on the left. Drive southeast on Adams St. Turn left onto Beale St. Pass Wollaston School and continue straight. Turn right onto Old Colony Ave. Continue straight to stay on Old Colony Ave. Our facility will be on the right before Warren Ave.